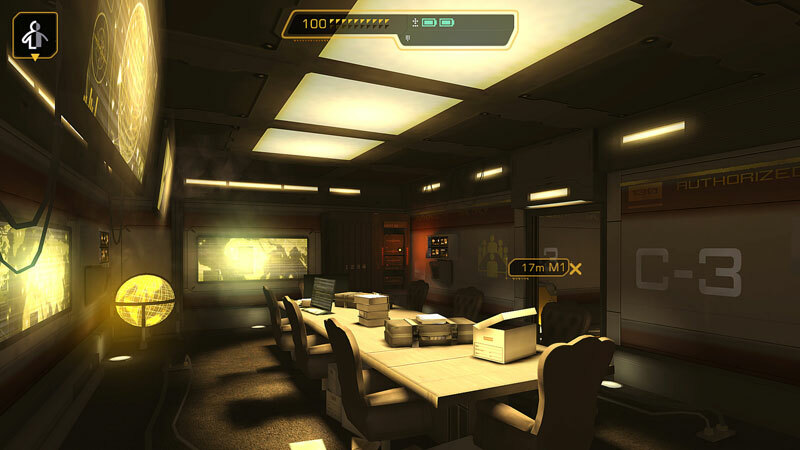 Don't be fooled by the black-andgold screenshots and the familiar interface: this is not the Deus Ex you know and love. It's a bad cover version, and truly one of the worst PC ports I've played in some time, and I've played Deadly Premonition. I definitely didn't ask for this. 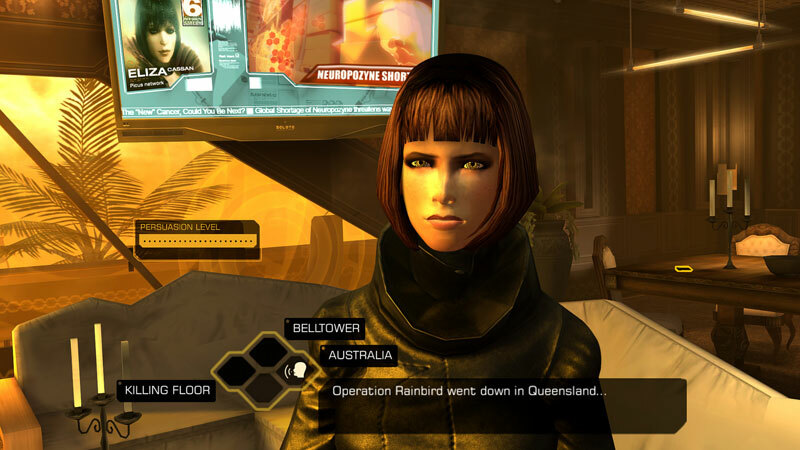 There’s just no reason to play Deus Ex: The Fall, even for big-time Deus Ex and Deus Ex: Human Revolution fans. You can get the same experience out of reading a Wiki entry online. Better yet, if you must play the game, grab it on a mobile device, where it will actually work. 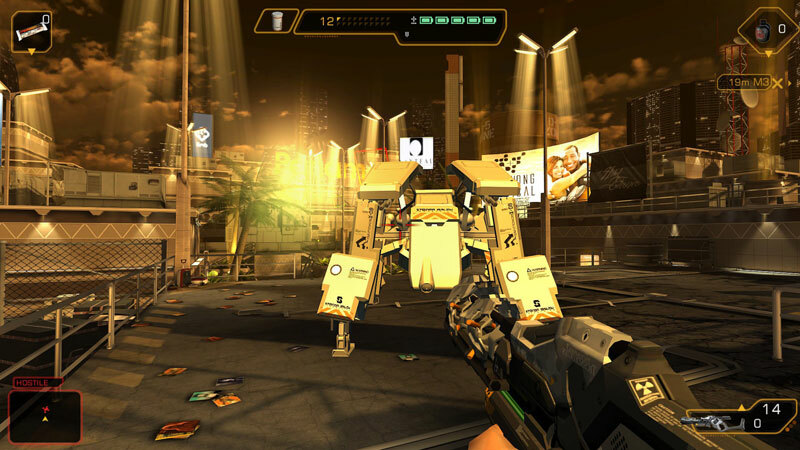 This PC port fails to take advantage of the PC's increased technical power and greater control fidelity to adequately smooth over the game's prior tablet limitations. The story feels like it's attempting to fill in some blanks regarding Human Revolution's underdeveloped boss characters, but the game ends well before it has the chance to do so. At least nFusion had the mercy to not include any boss fights. Beneath the struggle with terrible controls and bugs, there are vents to sneak through, email to hack, and people to confuse. It’s something that could shine on the PC if any sort of care was taken. But it's not been gently coaxed into the shape of a PC game; it's been stretched instead of expanded, and pulled to the brink of tearing itself apart. 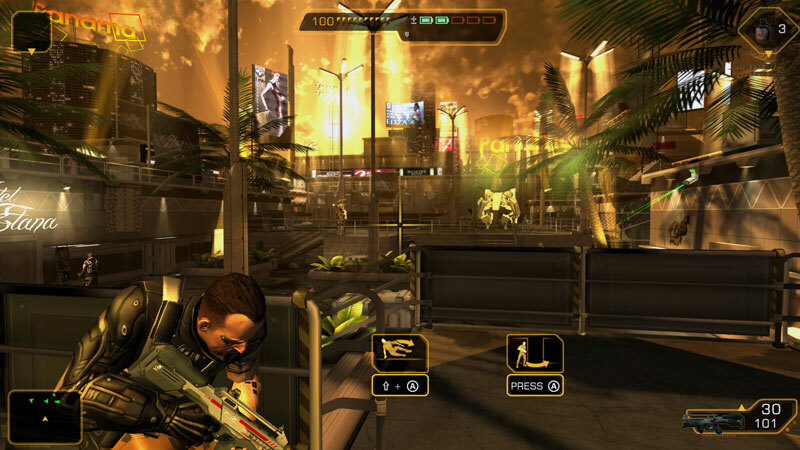 Get used to the slightly odd un-redefinable controls, the cramped level design, and the silly shop-inventory (where you can only buy, not sell) and you’ll find the special Deus Ex gameplay itself is intact. 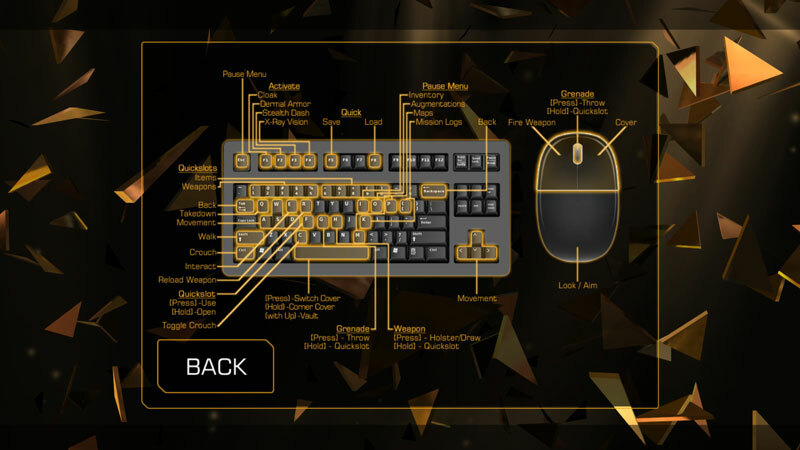 Through skill and careful Augmentation use you can make your way through the game, discover new facts about Adam Jensen and Ben Saxon’s world, and basically have another 5-7 hour chunk of the Deus Ex experience, and at the end of the day that’s a good thing. Even if that experience is (shudder) Invisible War. 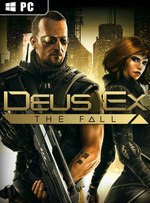 Aunque en los dispositivos móviles llegó a gustarnos, aun a pesar de sus fallos, el salto de Deus Ex: The Fall a compatibles no podía haber sido más discreto. Pocas novedades de peso y un mal trabajo de adaptación lo convierten en un título mediocre que difícilmente contentará a los fans de la serie. Irgendwer muss doch auf halber Strecke gemerkt haben, dass diese Bedienung aus der Tablet-Hölle auf dem PC nicht funktioniert. Auf der Plattform, die so viele großartige Shooter hervorgebracht hat, könnt ihr mit so einem optischen wie spielerischen Klogriff doch kein Publikum erreichen. Richtig schlimm ist aber, dass ihr tatsächlich eine ganz spannende Geschichte erzählt, die aber am Ende einer Meile von Glasscherben liegt, die sich Gameplay nennt. Un vero spreco, considerato quanto del gameplay originale sia stato preservato in prima battuta dai game designer e le quattro/cinque ore di avventura offerte ai fan della serie, in crisi d'astinenza da potenziamenti.